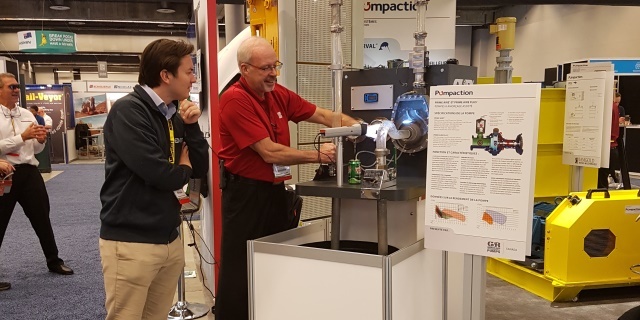 Pompaction was there at the last CIM show presented in Montreal last May. We were able to count on the usual support of our partners for this occasion. Thanks to all visitors and customers who stopped at our booth. We will be meeting next year in Vancouver for the next CIM! Hope to see you there! 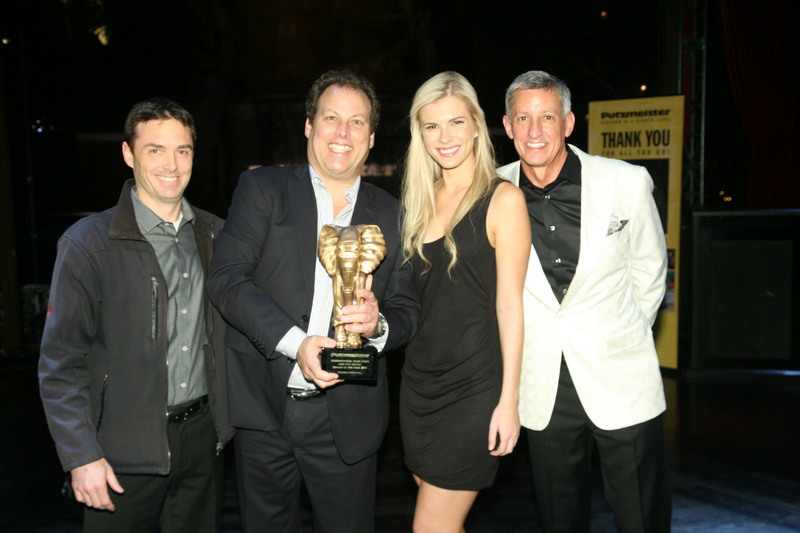 Last February 2015 was held the VIP cocktail reception organized by Putzmeister in parallel to the World of Concrete held in Las Vegas, Nevada. During the evening, Pumpaction was awarded the prize for best international distributor of parts and concrete piping system for 2014. Congratulations to the whole team who contributed to this success. 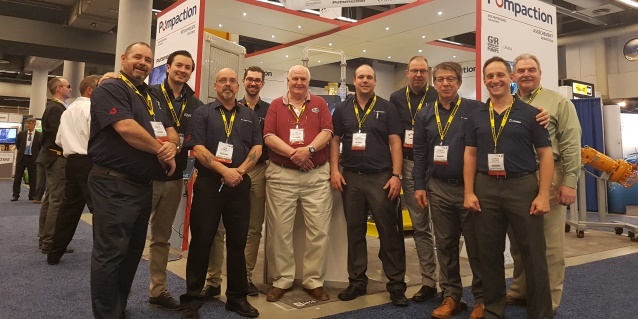 Pictured from left to right: Keith Armishaw, sales representative at Pumpaction; Francis Gagnier, Vice President Pumpaction and Dave Adams, CEO of Putzmeister America. 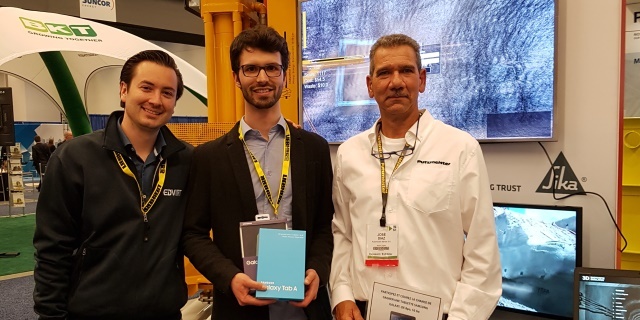 Francis Gagnier presented the Pumpaction service team with the Certificate of Excellence awarded by our partner Putzmeister Solids Pumps during its annual sales meeting held in Germany in October. 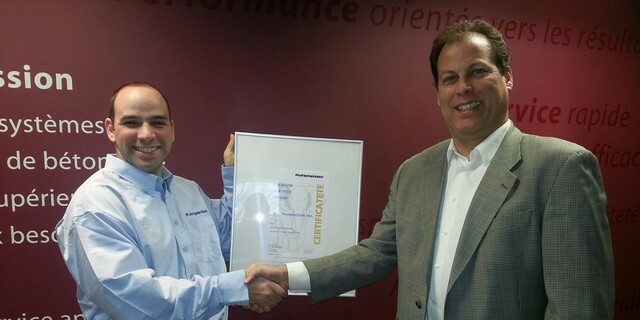 This certificate recognizes Pumpaction as the best distributor for the quality of its customer service and its superior customer support in 2014. Our brand-new website introduces you to the people and groups involved in Pumpaction and describes all of our commercial activities. We hope you enjoy your visit and come back regularly for information about your projects. You’ll discover dedicated employees who do everything they can to make a difference for you! We proceeded with an expansion of our Quebec City workshop in the past months. Everything is now operational and we can accommodate, since last April, more concrete pump truck for maintenance and repair. The new extension is now equipped with a test bed of 5000 gallons for testing water pumps from 5 to 140 HP.